Google has updated its Street View app for iOS and Android with support for Google Cardboard, the company's DIY virtual reality headset. With the new version, Cardboard owners can tap into practically any location and get a 360-degree street view that they can check out in VR. Anywhere that Google's street guide, Pegman, appears can be tapped to access a 360-degree view of the area. Tap a location. Then, tap the Cardboard icon in the upper right corner and place your smartphone into the Cardboard VR viewer. You can turn around to see what is behind and next to you. 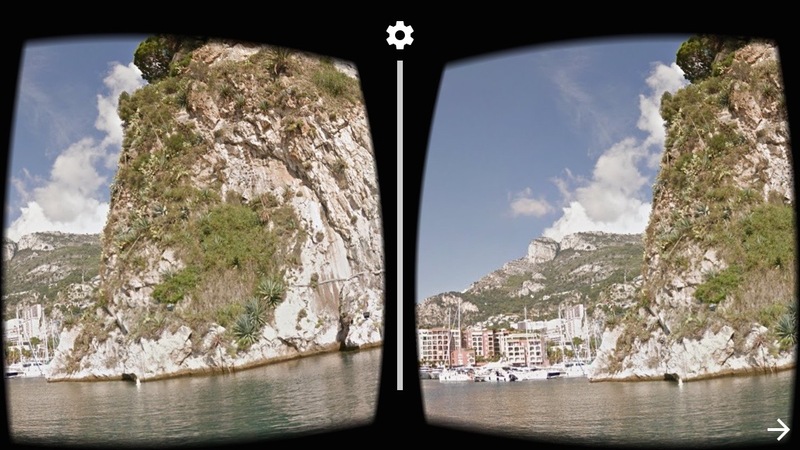 Press the action button on Google Cardboard to move down the street. Google also announced a milestone for its Cardboard app, which is now available in 39 languages across 100 countries. The company claims that more than 15 million Cardboard-compatible apps have been downloaded from Google Play.